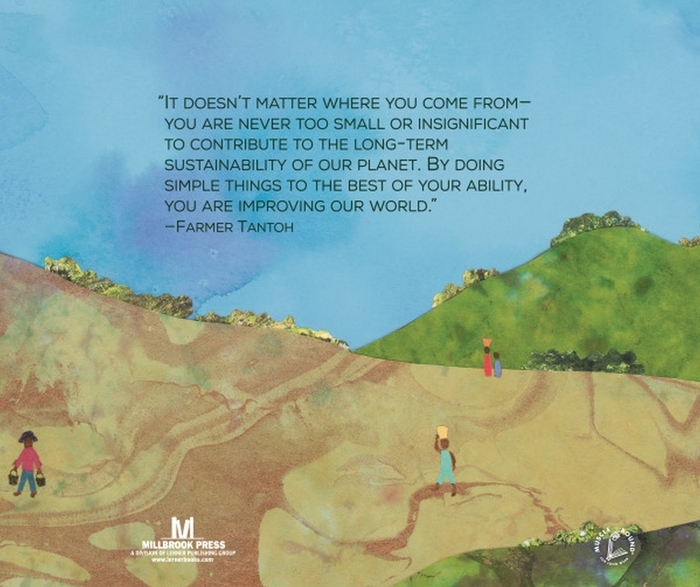 Discover the true story of how environmentalist Farmer Tantoh is transforming the landscape in his home country of Cameroon. 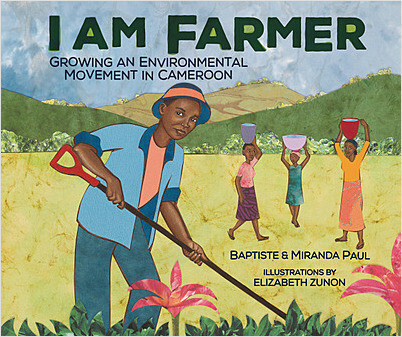 When Tantoh Nforba was a child, his fellow students mocked him for his interest in gardening. 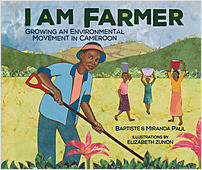 Today he’s an environmental hero, bringing clean water and bountiful gardens to the central African nation of Cameroon. 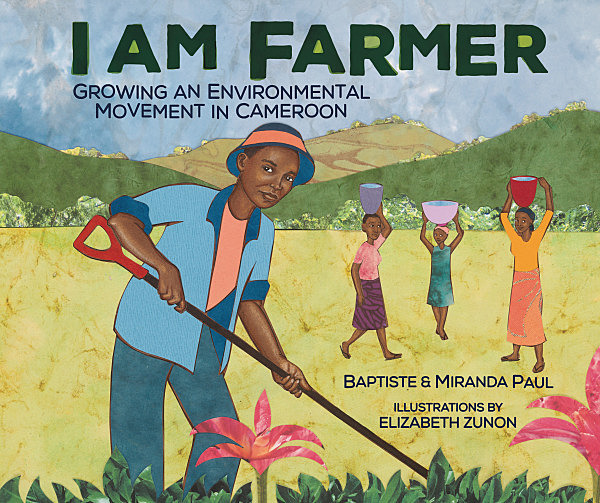 Authors Miranda Paul and Baptiste Paul share Farmer Tantoh’s inspiring story. Miranda Paul is the award-winning author of more than a dozen books for children, including One Plastic Bag and Water Is Water, both Junior Library Guild selections. Miranda is a founding member of We Need Diverse Books and serves as its mentorship chair. Learn more at mirandapaul.com. Baptiste Paul grew up in St. Lucia, where at age seven he propagated a root cutting that still produces breadfruit for his family. 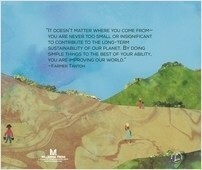 He holds an Environmental Science degree and is the author of The Field, which received multiple starred reviews. His second picture book, Adventures to School, is also co-authored with Miranda Paul. Discover more at baptistepaul.com. Elizabeth Zunon grew up in the Ivory Coast, West Africa, and memories of her childhood can be seen in her artwork. She currently lives in Albany, New York. Find her online at www.lizzunon.com.